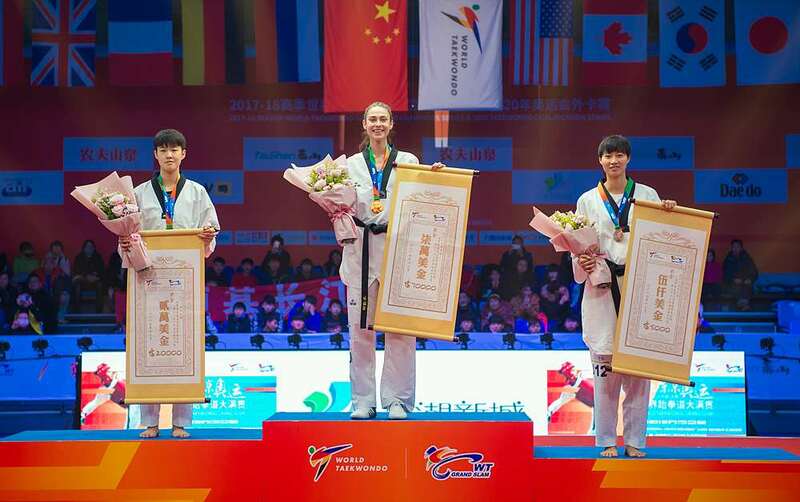 WUXI, China (Jan. 20, 2018) – The final weekend of the super-elite World Taekwondo Grand Slam Champions Series brought yet more excitement, thrilling action and shock defeats as Turkey’s Irem Yaman won the women’s -57kg and Korea’s Tae-Hun Kim took home gold in the men’s -58kg. Irem Yaman, who qualified for the event through the qualification tournament, came into the Grand Slam as a relative underdog. Many predicted that it would be Jade Jones, Ah-Reum Lee or Hatice Ilgun who would take home the gold. 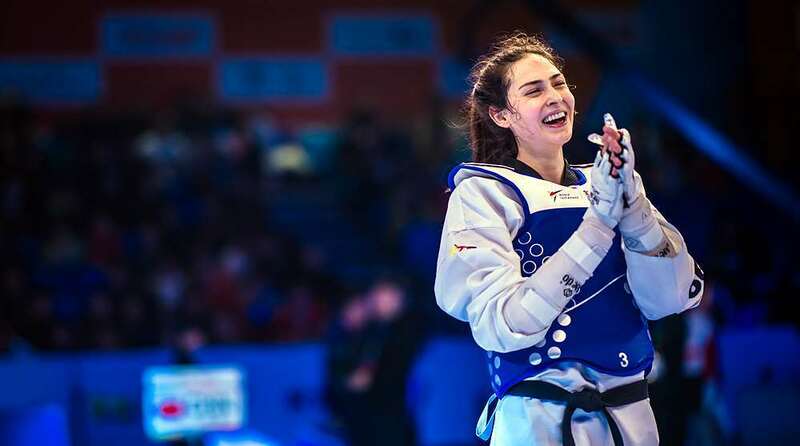 However, in the quarterfinal, Yaman managed the shock defeat of the day, beating Jade Jones through a ‘win by superiority.’ She went on to overcome China’s Zongshi Luo in the semi-final, 24-6, and Lijun Zhou in the final, after a tense match which was decided by a golden point. 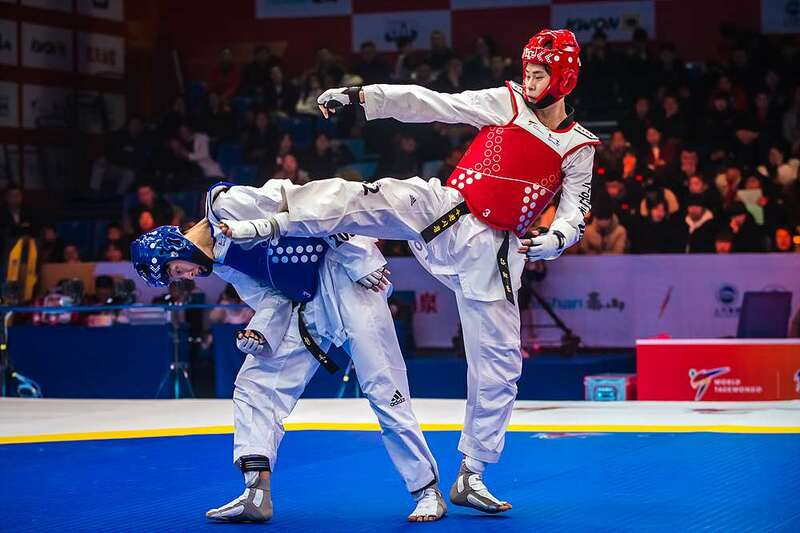 The day’s action reinforced the enthralling unpredictability of taekwondo and the strength of all the fighters as none of the favourites managed to get onto the podium, with Zhou taking the silver and Luo claiming bronze. In the men’s -58kg, while no less thrilling, it did not produce the same shock defeats. Tae-Hun Kim has not lost a single major championship in 2017 and is a triple world champion and so went into the competition as a strong favourite. 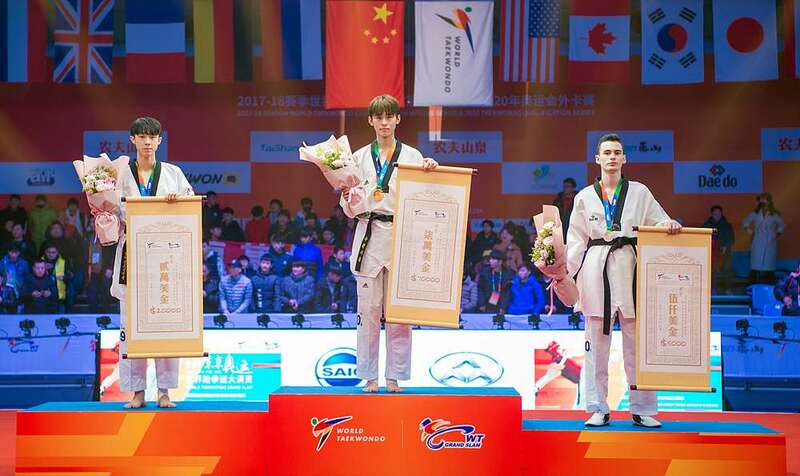 In the semi-final he faced a familiar foe in Mikhail Artamonov from Russia who was in good form having won the 2017 World Taekwondo Grand Prix Series 3 in London. It was a close match but Kim ultimately provided too strong and won 9-4, taking him through to the final against his relatively unknown compatriot Jun Jang. Jang secured his spot in Wuxi after winning the qualification tournament. Despite a good run to the final for Jang, Kim was too strong and won gold with a 37-16 victory. 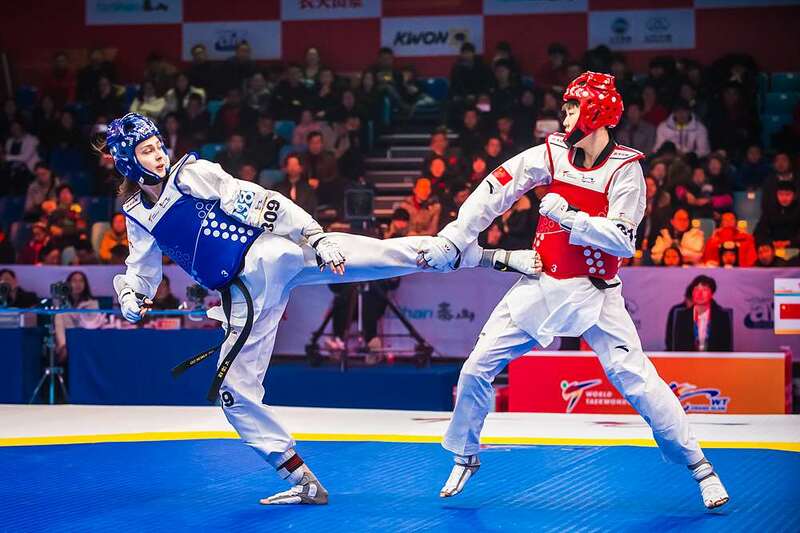 Certainly, the longer matches of five two-minute rounds which are being pioneered in Wuxi appeared to favour Kim who is known for his stamina and rapid kicks. But even he acknowledged after the fight he would need to train harder to strengthen for the next Grand Slam. While Jang took home silver Artamonov won his last match to claimed bronze in the men’s-58kg. Kim’s gold capped off a very successful Grand Slam Series for Korea who finished top of the table in both the male and female medal tally. In the men’s competition they finished top with three gold medals and two silver. Russia came second with one gold, one silver and two bronze medals while China finished third with one silver medal. In the female category Korea won one gold and one bronze medal, a feat which was matched by Turkey. In third place was Cote D’Ivoire and Great Britain who won one gold medal each. “Today’s remarkable action brought to an end an excellent inaugural World Taekwondo Grand Slam Champions Series. Over the last four weekends we have seen breath-taking action, draw-dropping athleticism and thrilling results. This is why we established this Grand Slam. We want to put the best against the best and give taekwondo fans all over the world the most exciting matches. 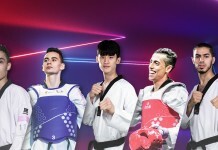 The eyes of the taekwondo world now look ahead to the World Taekwondo World Cup Team Championships in Wuxi next weekend. Next articleGrand Slam Preview: Will Hometown Advantage Grant China Double Gold in Team Championships?